PRICE REDUCTION! WELCOME HOME! You truly can have it all! 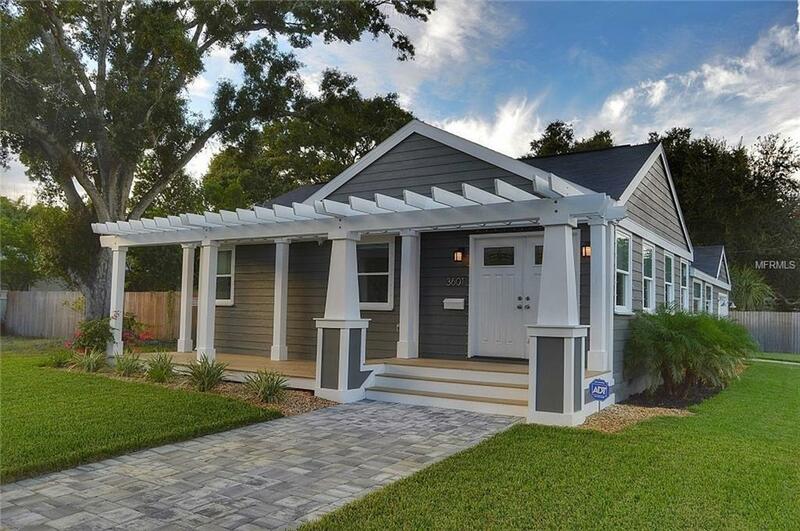 This lovingly remodeled, bungalow-style open-concept home sits on a roomy corner lot, centrally-located within 15 minutes of beautiful Gulf Beaches and vibrant Downtown St. Petersburg. Close to restaurants, shopping, museums, live music, and countless other local highlights. Brand new features include a custom-designed 256 sq ft front deck, lush landscaping, sprinkler system, Avycon 6-camera security system, AstroGuard Storm Shutters, custom-built privacy fence, paver entrance walkway, new Haier Gas Range/Convection Oven. The spacious backyard awaits your personal touch. A one-of-a-kind house like this does not come along often. Make your appointment for a showing before it's gone!ADJACENT VACANT LOT IS OWNED BY SELLER. WILL ENTERTAIN OFFERS FOR TWO-LOT PURCHASE.